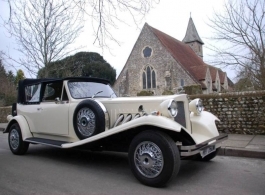 Convertible, vintage style Beauford wedding car hire in Portsmouth. 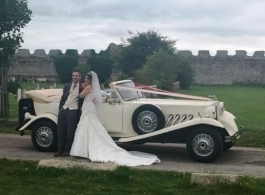 This beautiful 2 door version of the 1930s vintage style Beauford looks stunning in Olde English White with a Black convertible roof. 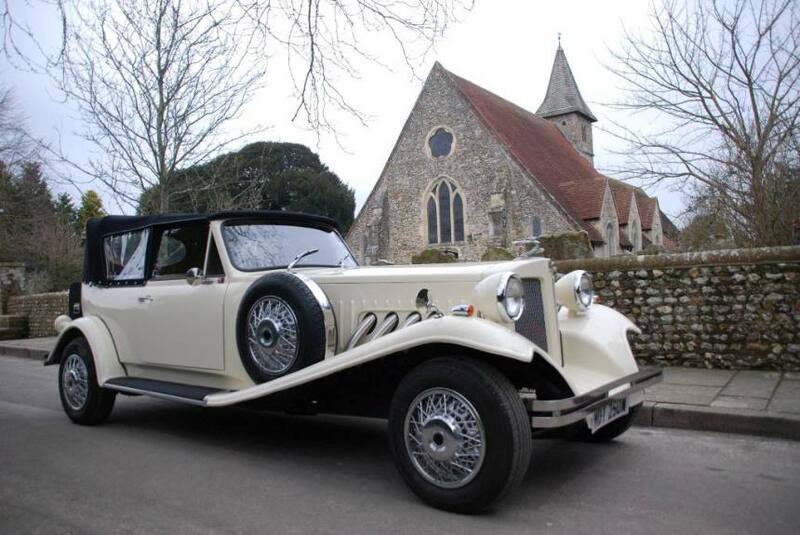 Please note that the front passenger seat can be folded forward for ease of access to the rear seats. 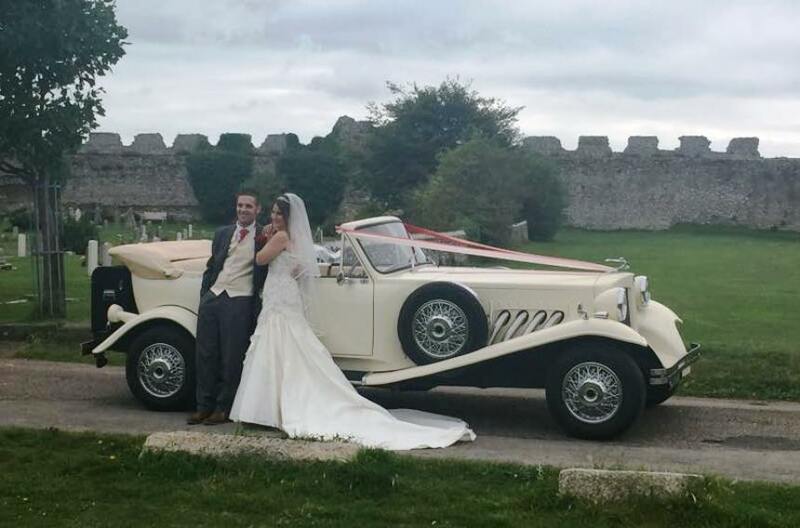 This Beauford wedding car is ideal for Bride and her Father on the way to the wedding and then Bride & Groom after.